Papa John’s CEO Steve Ritchie is bullish on his pizza company’s ingredients. Domino’s declined to comment on Ritchie’s comments, while a spokeswoman for Pizza Hut did not return a request for comment. Ritchie and his new friends on the Papa John’s (PZZA) board are banking on consumers overlooking $5 pizza promotions at Domino’s Pizza and Pizza Hut and choosing those better ingredients Papa John’s right now is emphasizing $12 specialty pizzas in a bid to stage a turnaround after an ugly 2018. If disgruntled founder/TV pitchman/current board member John Schnatter could pipe down a bit, consumers may actually get a chance to hear Papa John’s new marketing. But turning around a 5,200-plus store global pizza chain dealing with a major image problem won’t be easy. The dynamic of the Papa John’s board is also a headache that investors need to carefully consider. Activist investor Jeff Smith’s Starboard Value disclosed a $200 million investment recently in the struggling Papa John’s. 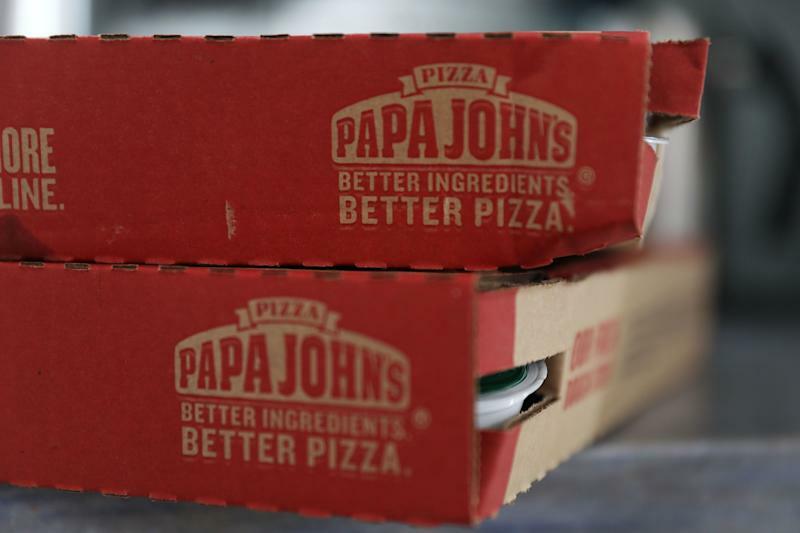 Starboard has an option to buy $50 million more in Papa John’s stock. As part of the arrangement, Smith will be installed as chairman of Papa John’s. Anthony M. Sanfilippo, former chairman and CEO Pinnacle Entertainment, will join the board in a show of support for the embattled Ritchie. Ritchie has been pounded in the press by Schnatter pretty much since he was promoted to the top position (by Schnatter) in January 2018. The outspoken Schnatter, who voted against Starboard Value’s investment, has stated Ritchie is not up to the job. Ritchie — who started as a Papa John’s delivery driver about 22 years ago — said he has had a good relationship with Schnatter through the years. Schnatter has a 30% stake in Papa John’s — he was ousted in mid-2018 for allegedly making racist comments. But he still sits on the Papa John’s board. John Schnatter, founder of Papa John's. But Schnatter did offer a $200 million investment in Papa John’s with an added $50 million option. Although Schnatter’s offer was similar to Starboard’s, it was rejected by Papa John’s special committee. Schnatter has since come out in support of Starboard. Schnatter was not made available for an interview by Yahoo Finance for this story. Smith will move quickly to implement a playbook at Papa John’s he used with success at his most well-known activist campaign, Darden. He undertook a complete overhaul of Darden’s under-performing board some five years ago. Smith’s team unveiled a scathing review of Darden’s Olive Garden business, right down to how it salted its water for pasta. Smith was put in as chairman of Darden (remained until April 2016) and focused on improving the restaurant chain’s ingredients, marketing and operations. Darden’s stock is up an impressive 143% the past five years. Smith has alluded to approaching Papa John’s in a similar fashion. “Papa John’s has always stood for higher quality pizza, and we believe Papa John’s has a strong foundation, with the best product in the space and a strong franchisee and customer base. We applaud the actions that the Board and management have taken to move the Company forward through a difficult transition. We see tremendous potential for the Company both in the U.S. and internationally. 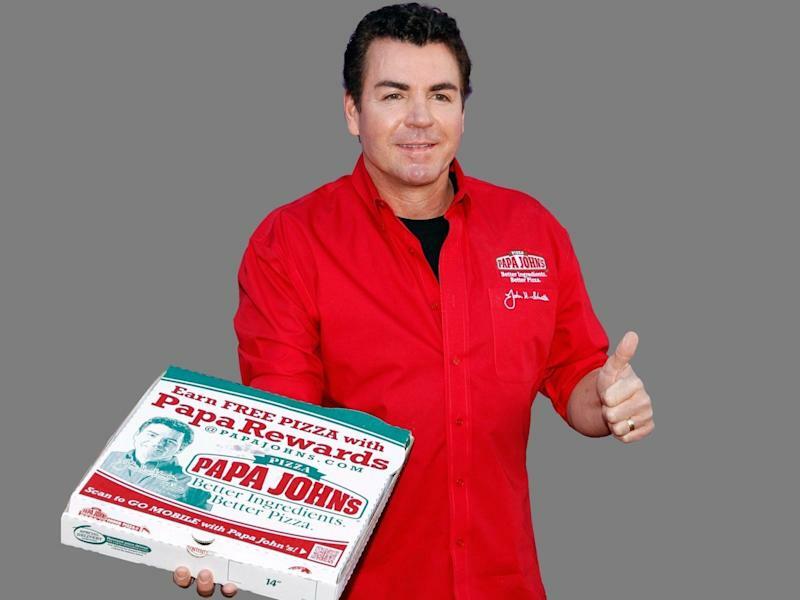 We look forward to providing leadership, sponsorship, and support to instill operational, financial, and corporate governance best practices, and working with the Papa John’s team to develop a disciplined long-term strategic plan while delighting our customers every day,” Smith said in a statement on the day of his investment. Ritchie said he and Smith are focused on improving Papa John’s operations and technology. Without question, Ritchie and Smith have their work cut out for them at Papa John’s. Papa John’s sales have fallen off a cliff this past year. It reported earlier this month that same-stores sales in North America tanked 8.1% in the fourth quarter. For the full year, same-store sales in North America fell 7.3%. The pizza chain said its full-year earnings will be at the low end of its guidance for $1.30 to $1.50 a share. Papa John’s will report its fourth quarter financial results on February 26. The turnaround “will definitely take some time,” Ritchie acknowledged. But with more than 5,200 mostly franchised restaurants around the world and a well-regarded mobile ordering platform in place, Papa John’s remains a force in the industry. And if Smith’s track record in the restaurant business is any indication, that formidable position could be better reflected in the stock price in the not too distant future. One thing investors shouldn’t expect: a return of Schnatter to the TV airwaves pitching Papa John’s pizza. Ritchie said Papa John’s will focus on marketing its ingredient quality and six new pizzas in the months ahead. Don’t expect a value menu either, Ritchie said, as it’s costlier to make their pizza relative to rival chains.